Is Award Travel Really Free? Last Saturday I kicked off a 4 part series that discusses four of the most hotly debated topics in the travel hacking community. I discussed opportunity cost last week. This week I would like to discuss if award travel is really free. My goal is to offer up both sides of the argument and then have a civil discussion about it in the comments section. Last week was amazing and I can not thank the readers who commented enough…you guys were great! We had comments that swung on both sides of the argument, everyone was respectful, and everyone brought great points to the table. The Value of Credit Card Airline and Incidental Credits. Should There be a Minimum Redemption for Award Travel? We should probably start off by trying to define what free is. Now that is not really helpful since it is ambiguous. In my opinion everyone defines cost differently which would mean they have differing views on what is free. Last weeks discussion was a perfect example, if you believe in opportunity cost then nothing is ever really “free”. But, if you believe that opportunity cost is simply a decision making tool, like myself, then that opens up a lot more possibility when it comes to defining free. Now that we have looked at the definition of free, where does this divide in the travel hacking community come from? I know you have read the blog posts that boast about $10,000 trips for FREE. Most people in our community take offense to that. They think that this is click bait fodder to get the inexperienced newcomers hooked so that they can pump the affiliate links. Does this happen sometimes? Sure it does, but it doesn’t mean that free travel is impossible, does it? It is true that there are hidden costs when you discuss award travel. There are credit card annual fees, award flight taxes, resort fees, parking fees, car rentals etc. the list goes on and on. These numbers are sometimes left out of the blog posts because most people think only of the big ticket items when discussing their trip costs. Even people outside of the “hobby” fall into this trap. They only consider the flights and the hotels and don’t look at the little costs. I guess one question that needs to be answered is should they consider the little costs? That is something I will discuss more in my opinion part of the piece. I would agree with the majority in the hobby that award travel is not free, at least most of the time. I do think it is possible, with proper planning, to take a totally free vacation. This would limit the amount of trips you could take because of the amount of resources needed to make it work. It would also take more diligence and preparation than a standard award redemption. But, I do think a family could take 1-2 completely free trips per year if they desire. I attempted to play this out in an article a few weeks ago when I booked a fake trip for a family going to Disney. I used a mixture of airline, hotel, cash back, and travel redemption sign up bonuses to cover all costs involved. At the end of the day the family had their flights, annual fees, taxes, rooms, and park tickets covered with nothing coming out of pocket. They were even left over with a little over $300 to spend on transportation and food. After posting the article I got into a discussion with another blogger and he said he did not think it could be called free. He claimed that since the family needed to use a $500 cash sign up bonus to cover the cost it was not truly free. He claimed that once you earned the $500 it was like taking $500 out of your pocket for the trip. This is where your personal definition of free comes in as discussed above. My definition of free is that if I didn’t need to really do anything for it, and if it didn’t come from my budget or personal accounts, then it is free. The banks funded that faux trip…nothing came from the family’s checking or savings account. I think that trip could be called free. Back to the question of should the small costs be included? You may be thinking that a family on vacation is going to buy trinkets and food etc. Or you may think that $300 won’t go very far on vacation. I would argue that not all of the fringe costs should be included in the debate. I don’t think that food and some of the trip’s transportation costs should be included in a trip’s cost calculations. If you stayed home you would still spend money on food and you would still have transportation expenses. Some of these costs would be incurred whether or not you take the trip. Because of that I don’t think they should not be included in the calculations. This is assuming the vacation costs are in line with your normal budget. An example: I can go to Las Vegas and take an Uber to and from the airport ($30 total) and walk around the rest of the time. Should I count those Uber rides in my cost calculations? Would the two rides be more expensive than the transportation costs I would have incurred at home? After you take fuel cost, wear and tear, and depreciation into account I think they would be somewhat of a wash.
Now you may argue food is more expensive on vacation and this is usually true. But if you are trying to do a trip for “free” you can bring some food/snacks with you, maximize free breakfast or lounge access, and eat inexpensive lunch options to keep your costs somewhat in line with at home. It can be done even if most people don’t. I would agree that most award travel is not “free” because of fringe costs incurred accruing points etc. But, I do believe that it is possible to take truly free trips with proper planning. Whether you agree with me or not mainly comes down to how you define free. Is a cash sign up bonus free money once you earn it? Or is it considered a part of your income once it is earned? Do you think all costs incurred while on vacation should be considered? Or should some costs be considered a part of your normal everyday budget? I look forward to hearing your take on these questions in the comments section. Remember to keep it civil, these are just opinions. No one has all of the answers here. In looking at your four hot topics, and then re-reading your first post on “Opportunity Cost” I am trying to figure out when the value of my time will be discussed as a factor. @Bob – You beat me to the punch! It takes a huge amount of time to research deals, card bonuses, extra promotions from cards (think Amex) and airline promotions. Add to that the daily rigor of the countless emails that come in daily, monitoring The Flight Deal, Secret Flying, etc. And all that comes AFTER the actual time spent trying to figure out what all of this is about, getting a working knowledge of transfer partners, etc. I won’t even mention the hotel end of it. As we all know, time is money. So, what price do we put on that? Was it worth it? Of course we will all say “YES!!!!”. But time is valuable, so it must be factored in, and in my opinion, makes all of this very inexpensive, but not free. Bob it was discussed in the comments last week I believe. That is a personal factor that each person has to decide on their own in my opinion. Everyone puts a different value on their time. You also have to ask what is this research replacing. Is it television time? Is it time you could be spending working and making money? Depending on how you answer that is whether or not it should be valued. If you would just watch TV instead then I put the value at 0 etc. Also this is a hobby for most. They get personal enjoyment out of it. If it is a hobby then should you calculate a cost? Do people who love to run say that run just cost me $30 in time? I would guess not. So because of all of this it is impossible for me to calculate for anyone but myself. Very though-provoking article. I’m a newcomer to the points/miles arena, but I’ve already come to realize that nothing in life is free. Hopefully I’m not too off base here, but I figure that all we are doing is exchanging information, time, and money to card issuers and merchants for discounted travel and/or perks. 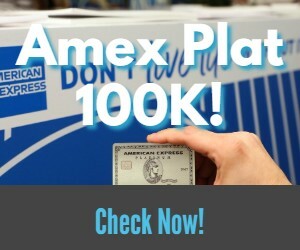 For the regular and incentive points earned on a card via your day-to-day spend, there is value in the information that you provide the issuer and the merchants you patronize in order to accumulate said points (allowing them to pull your credit report, access/track your spending habits, control inventory, etc.) While it may be difficult for you or I to assign a dollar value to your credit history, or the reason you chose to buy Widget X over Widget Y with your credit card (especially when loyalty programs/portals are factored in), the companies to whom you give your business place a premium on such information. And make no mistake about it, it is not “free” to swipe our plastic/metal – the transaction fee the issuer charges is passed on to us. Thanks – I look forward to other opinions on this topic, as well as Part 3! Thanks for the comment Matt. As I said everyone has their own definition of free and yours is well thought out and well defined. How you define it kind of directs how you answer the question on whether or not “free” travel is possible. That is what makes it so interesting! Thanks for the comment and I hope to see you next week. Booked a 7 day stay at Hyatt all inclusive, free airport shuttle, free food and drinks and free flights…..only spent small money on tips, pretty close to free. W if you covered the annual fees and flight taxes with another cash sign up then I would call it free! You probably saved money on your grocery bill :). Flew SW W/ companion pass loe taxes and had first year annual fee waived on the Ccs….We were joking that we were being paid to be here. The money we would have spent on groceries, gas, etc being home would have been alot more than we spent on various tips. Definitely not free. When I stay in the office and work diligently, I would bill about $4-6K a day. Minus my overhead costs and taxes, that’s about a $2-3k day. Then there are the health costs as I drink way more flying premium class. And I can’t stay somewhere not nice and have to party with bottles. I don’t care about eating fancy. So add in another $1,500 a day in costs. Plus the time not spent with friends and potential business generation. It’s a huge cost. But then I don’t like the miles sitting idle. Thanks for reading and the comment Hal! I think you can get close to free if you take your assumption you would pay for food/transportation at home (which I don’t totally buy into) but my problem is the activities on the trip. I love museums, concerts, plays, tours etc when I travel. Some of those you are going to have to pay cash. So there is a choice between cash back or miles/points. Arrival can only do you so much good. I tried to pay for the Tower of London for three adults this summer and it did not code travel, same with Harry Potter Studios tickets. I had to have some cash to pay for that and other things. Most of my spending I choose miles/points. I don’t manufacture spend etc. for many reason. I am getting points only on my real life. So there is a trade off. I always need some cash for my trip. So my trips I don’t consider free, cheaper yes and sometimes the only way I can travel, but not free. But you could always grab a cash sign up bonus. The BOA premium card will get you $500, the Spark cash will get you $500 etc. and there are a slew of $2-250 cash bonuses. So there are options out there to get cash to use on your trip. Like I said I don’t think it would work for all trips but I think it is possible to do in certain instances. Unless you think that cash sign up bonuses should be counted as income…then it wouldn’t be possible unless you were doing an all inclusive beach vacation etc. Thanks for reading and the comment L.
I don’t even try to make trips free. I am all about the experience of the trip and the location. I use the points to save me as much as possible and when possible enhance the experience. If I want to go someplace and I have to pay for the experience I do so. If you take a trip and it is all covered by rewards I would view that as a free trip. I think of a latte that I get with a reward gift card as free so why not a trip. I think most of us just subsidize the trip with points. It allows for more trips and more spontaneous trips as well. I do agree with you that if the whole thing is covered by points then it would be free. Thanks for reading and the comment Scott. To me, the award flights are never really free…but certainly can be qualified as reduced cost! Looking forward to parts 3 and 4! Thanks for the comment Scott. Look forward to hearing your take on part 3 and 4. I think it can be free. But most of us need to admit a couple things. We are spending on paid travel we might not do to earn points, status, free nights, and some of those calculations work out, some don’t. Also, even when things aren’t free we might be tempted to spend more because of benefits we have, upgrades, 4th night free, etc. I’m perfectly happy with the travel I’m doing and that I’m doing a ton more both paid and free but I must admit my travel budget has gone up not down. I enjoy it a lot more, have more opportunities to stay in hotels and go places I never would have gone. But overall I’m spending much more. On the other hand some of my trips are totally free. Good points Emily – totally agree. I also find myself wanting to buy more stuff when working on a minimum spend so I can get to the next one haha. Definitely something we need to be aware of! Excellent comments thus far just like last week. OK so my 2 cents worth which applies only to our situation. I only started collecting points/miles about 5 years ago. Prior to that I used my debit card or non-point earning credit cards so I look at the points/miles earned as a mostly free bonus. I first signed up for Delta and Hilton cards since those are my primary suppliers I’ve used travelling on business. I eventually started to signup my wife for several cards. I only do them in a planned fashion where I figure out how to move my spend around to meet the minimum spend to get the signup bonus. Occasionally if a special signup comes along I will get that card if possible (Chase is difficult) to get that bonus. I also look at the benefits of the annual fee vs. the charge. Do I get any ongoing value from the fee or not. As an example I have the Delta Reserve card $450 annual fee. Well that card lets me get into Sky Clubs for no charge (when I travel on business) and I prefer the creature comfort. What really makes me keep the card is the annual companion pass which allows booking in First (Platinum card allows only economy) and I’ve used that benefit for my wife and I for some long haul domestic flights basically paying roughly $1100-1200 round trip for 2 people in First from Florida to the Pacific coast. So yes I had a cash outlay but probably equal to buying coach tickets and got to travel in comfort. I use my hotel points but then many times end up paying for an upgraded room which to us is worth it. Now in regards to “Free” travel I don’t ever look at it that way. I’m able to use my points/miles and card benefits to really upgrade our trips. I do count a lot of incidentals as cost because the sightseeing tour or transfers are cash outlays. Also we are foodies so on trips we look for nicer special restaurants so I consider that as an expense that is greater than eating at home. But again it’s our choice and what we like to do. Without the redeemed points/miles we wouldn’t be able to do some of the trips and certainly not in the upgraded style. Mark thanks again for the series and looking forward to next week. Thanks for the great comment Michael. Look forward to hearing your take on next week’s article! This is a funny point in my household because my husband and I have polar opposite opinions. He thinks it’ts not free because you have to buy stuff to get the points. The way I see it is, I am getting points/money/miles for the spending I would do anyway (we have to eat, have clothes, maintain a car, etc) so, to me, that comes free. Now, when using those perks for travel, if I had a $1000 in my bank account, and after I paid annual fees, taxes, and whatever related to a trip, I have the same 1000 in the bank, then, I consider it free. I agree with the people that said if the time you use for this hobby (that is what it is to me) replaces time you would have been spending on leisure then, still free. I have the perfect example, I have a friend that uses a debit card for everything so she doesn’t get any points at all. I only buy with credit cards that give me some benefit in some type of currency. In September, we had to evacuate because of hurricane Irma and we spent a week in hotels in Georgia and Mississipi. I used points for all my nights, not a penny out of my pocket. She made the decision to stay because she could not afford a few nights at a hotel, in the end, we got spared but it is a tough position for a family to be in. Last point I want to make is, because we are 4 people in my family and I am the only one actively in this hobby, we mostly use the benefits to reduce the cost of out travel, we would rather not wait to be able to take a free vacation and use the benefits as needed. Great comment – thanks Paola! With a decent numerical credit score and an airline/hotel points chart, points and miles are actually quite easy/take very little time to accumulate and spend. That is the science. I find that most of the real time, energy, and research expended is in finding the highest and best use for those same points – the art. A person can arrive at a rough estimate of what their “time” is worth by what they are actually being paid/have been paid by their company, customers, or clients. I think a person first has to decide if travel is meaningful to them. If the answer is “yes,” and they don’t have to come out-of-pocket for a desired trip, then it is probably safe to say it is also “free.” It then would also NOT be free if they instead worked at their jobs for a period of time to accumulate enough funds to take that same trip. I recently spent 4 nights at the lovely Miraval Arizona Resort & Spa in Tucson. My girlfriend and I both signed up for the Hyatt credit card (when it still offered 2 free nights) and consolidated them for a joint trip. Hyatt honored the $1,400 resort credit (for 2 ppl) normally offered when booking a room without points, so a few very nice spa treatments (each) were included. Transportation to/from the Tucson airport; 3 delish yet healthy meals, snacks, fruit/nuts, smoothies; interesting activities and insightful break-outs; and an incredible villa and beds with Santa Catalina mountain views (including taxes and resort fees), were also included. Our invoice at check-out was less than a $100/each only because we chose some spa add-ons. Tipping on the property isn’t even allowed! The stay would have instead cost us about $6,000 ttl had we instead paid and not used our free nights. Miraval has been on both our bucket lists for 10 years, but we just never saw clear to spending that kind of money to go. The time it took me to read that Miraval is now: part of Hyatt; included in Hyatt’s loyalty program; available to use with Chase free nights; and finally booking a stay was insignificant compared to the time I would have had to spend earning that same money. For somebody making $60,000/year, for instance, a high-end trip such as this would represent 10% of their gross salary, or a month and a half’s after-tax pay! Granted my friend and I effectively split the “costs,” but my point is that this award travel was definitely free to us, because it was a luxury experience we really wanted to do but wouldn’t have without a LOT of help (finally offered up by Chase)! Even in the financial crisis of 2008/2009, Americans still took vacations. Maybe not as long or frequent, but people tended to get away even if they did staycations or borrow money. I think if they were armed with the right knowledge and tools about award travel, they would have certainly preferred it to raiding their dwindling investment and savings accounts (at the time), even if it may not always be entirely free for many of the reasons previously posted. Time is money, however, so it is sure nice to experience a few, true home runs now and then. Sounds like an awesome trip! Thanks for the comment. Figuring out how much I am “making” on my travel card hobby turned out to be a more complex question than I expected. Once I started keeping spreadsheets I quickly discovered why there are such strong philosophical disagreements on what we mean by “free” or “savings”. The basic question is, what is the goal of travel hacking? Is it to do the same type of travel you would have done anyway but for less money, or is it to enjoy travel experiences you would never be able to afford otherwise? For me it is mostly the first goal, but occasionally the second. Mostly we use our points to fly coach and stay in Holiday Inns or Super-8s. But occasionally we use points to splurge on business class to Europe or a few nights in a really fancy hotel. It’s true that we never would have paid $900 per night for that hotel suite in Hawaii if we’d been paying cash, but what the heck, if that’s what the room would have cost that’s what I enter in my spreadsheet. I can see an argument for just entering what you would have spent if you were paying cash, but that’s over-thinking it too much IMHO. Using a mix of points-earning and cash back cards confuses the question even more. It’s easy to see that you saved $431 in airfare for a particular flight by using airplane miles, but if you have to pay cash for the taxes and fees then the flight isn’t free. BUT… if you maintain that the money you used to pay the fees came from cash back on your Amex BCP, then you could call it 100% free. Or you could go the other way and point out that you would never have bought that full-fare Delta ticket if you hadn’t been forced to in order to use the Companion Fare. Rather than focusing on the individual trip, I keep a spreadsheet of rewards and expenses from all my credit cards. I started this to make sure that I wasn’t actually LOSING money by getting suckered into all those Annual Fees. Clearly, that has not been a problem. In 4 years of seriously collecting reward cards my husband and I are about $38K to the good. That’s compared to paying for everything with cash and checks, the way we used to do. So even if we splurged on a few vacations we would never have thought about if we hadn’t had awards to burn, we are coming out ahead and having a lot of fun. Thanks for the comment Sharon. Sounds like you have things humming! I appreciate your sharing your individual numbers & perspective, Sharon. I find your net positive result even more interesting since you mostly use award travel to replace your usual travel expenses. Tells me every household could spend time & effort doing so instead of foregoing a vacation due to its cost or, worse, financing one. Even when redeeming miles and points for travel, there is still opportunity cost for your time, the ability to cash out many points for at least $0.01, and ancillary costs like parking, Uber/taxis, and food while traveling. But, if you love to travel, then you’re doing what makes you happy, so it is totally worth more to you than redeeming your points for cash and buying something that you won’t enjoy as much. As studies have shown, you’re much better off spending on experiences than material things. Thanks for the comment Lee!